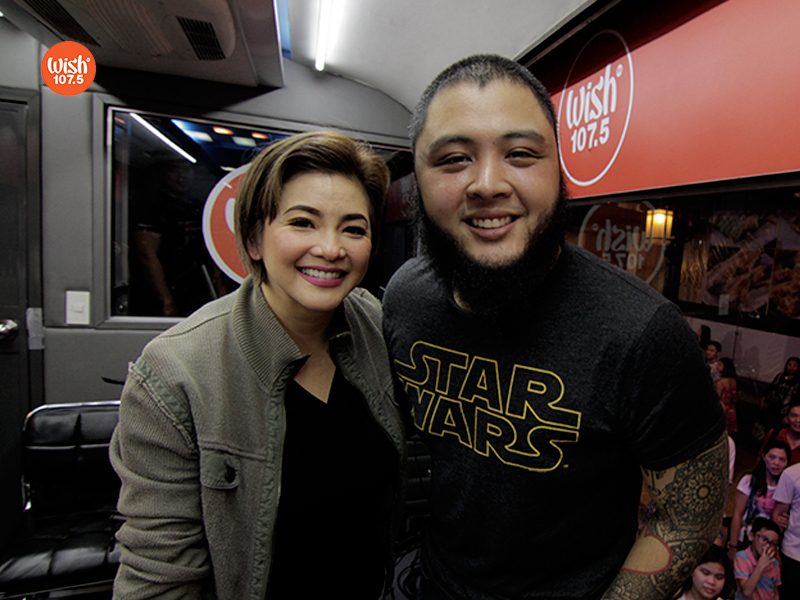 The Asia's Songbird onboard the Wish FM 107.5 Bus. Manila, Philippines (May 9, 2017) – In a short span of five days since its premiere on May 3, Regine Velasquez-Alcasid’s Wishclusive cover of her own hit “Araw-Gabi” has already raked in over one million YouTube views. This has made the video of the Asia’s Songbird the fastest to reach such achievement among all the uploads on the newest Wish 107.5 YouTube Channel. The song “Araw-Gabi” is an Original Pilipino Music (OPM) composition by Maestro Ryan Cayabyab. Regine delivered the performance during her Roadshow guesting last May 1. Regine sang onboard the Wish 107.5 Bus parked at Eastwood Central Plaza. The Asia’s Songbird kicked off this month’s Wish 107.5 Roadshow tours in partnership with PLDT Home and PLDT Fibr Experience. She is promoting her provincial tour called Fibr Experience Live along with PLDT. “Maganda yung line up ko ngayon, maraming bagong songs. I’ll be singing some old songs but this is a totally different show now. I’ve been doing this with PLDT for three years [already],” she shared during a live radio interview with DJ Robin Nievera. “I’m thankful to PLDT for giving me the opportunity to do shows, to connect with my fans, to entertain them…I love it, I love going to malls in different places and singing for everyone,” she added. Regine Velasquez-Alcasid with Roadshow DJ Robin Nievera. Regine commenced the tour last Sunday at the People’s Park in Binan, Laguna. On the 14th, she will be performing in General Santos City on the 14th and in Antipolo City, Rizal on June 18. As of writing, Regine’s performance remains on YouTube Philippines’ trends list for five consecutive days already and now on 13th spot. It is also a top trending topic on Twitter Philippines. Regine’s Wishclusive video trends on Twitter Philippines. Regine lauded the station’s efforts to promote music through the country’s one and only FM radio booth on wheels. “I just want to congratulate you guys. This show, this program is so popular. Everyone is tweeting about it,” said Regine.